Looking for a quality assurance, IT risk, or testing partner? 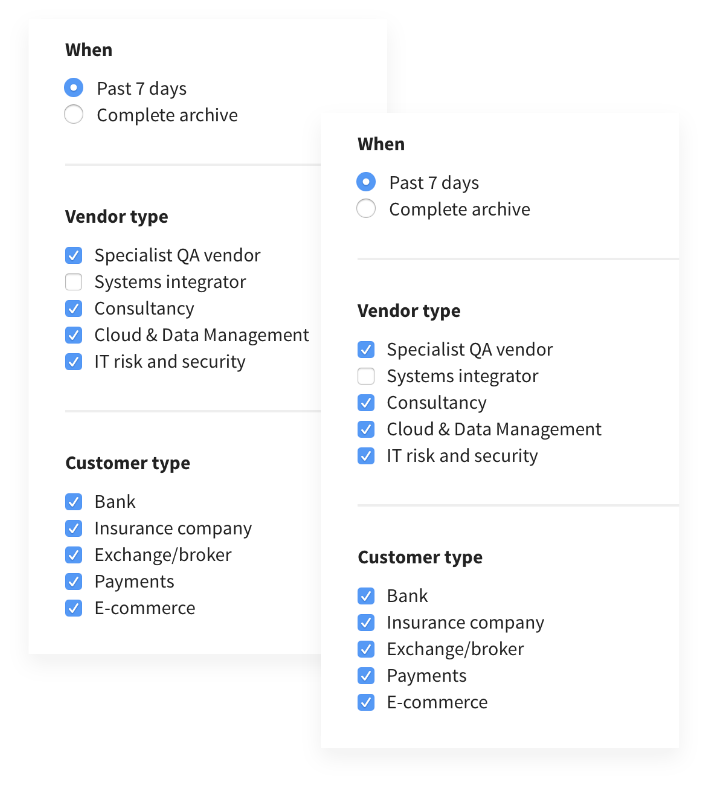 Then you need access to our expertly researched resource, tracking the most important service providers to the QA and testing community. 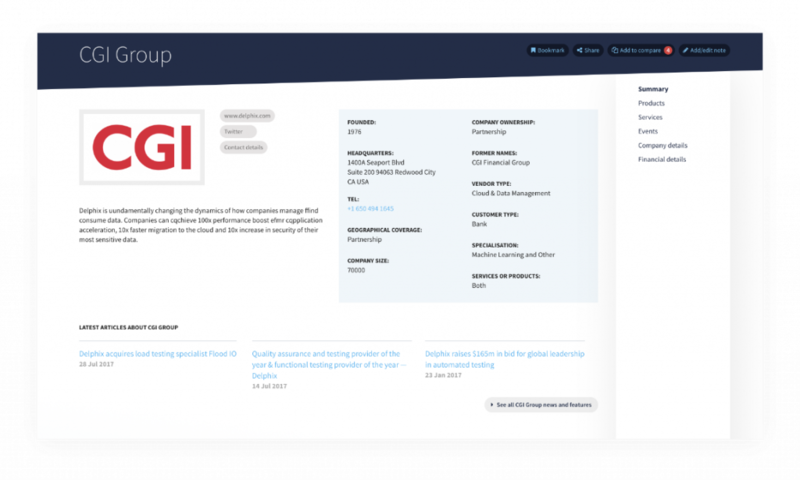 The QA Vector 500 is the only resource for comprehensive information on all the vendors, consultants and integrators serving the financial software quality assurance and testing community. The QA Vector 500 combines company and product specific information with financial information and qualified customer feedback. QA Vector Research ensures that the information presented is qualified and structured - allowing you to gain a comprehensive and comparable picture of the range of offerings. QA Vector 500 organisations may choose to enhance their entries with white papers, video and other appropriate content. Rapidly triage your search through the structured resource. Each entry is headed by a key points summary. The "Compare" tool allows you to bring up several entries and compare them side by side.